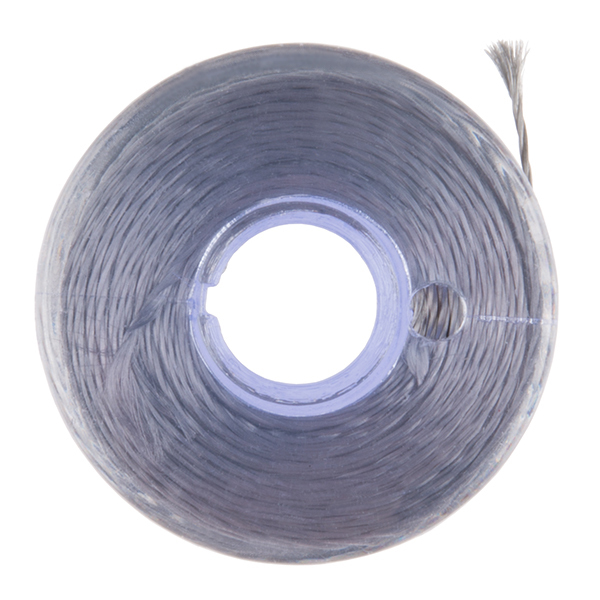 This is 12 meters of smooth conductive thread spun from stainless steel fiber and wound on a plastic bobbin. Use it to sew up all of your e-textile projects. 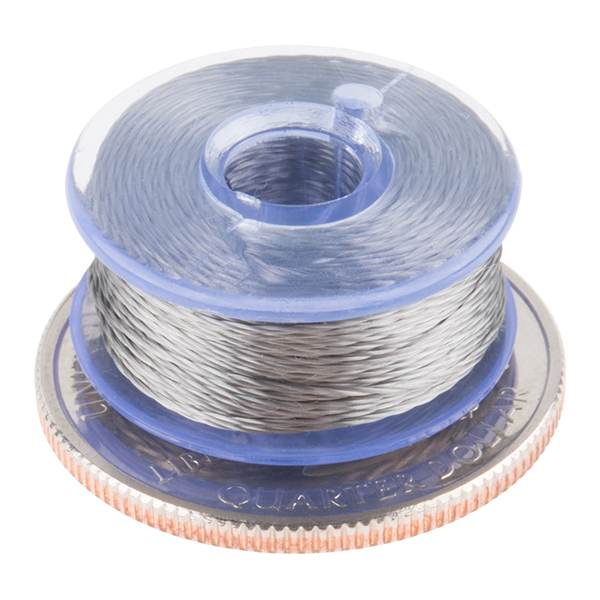 This small bobbin is a great way to get into wearable electronics without the upfront cost of buying an entire spool of thread. Close to 40 feet of thread is enough to get a simple design stitched onto your shirt, backpack or hat. 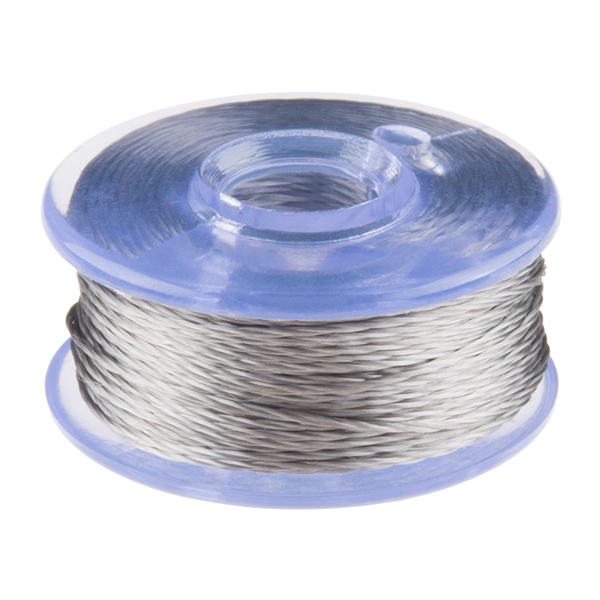 What sets this thread apart from the other conductive thread that we carry is the fact that it’s actually spun from 12UM stainless steel fiber making it incredibly smooth and without the loose hairs seen on other bobbins. This means that while it may not be easy to solder to, because it’s stainless, it also won’t burn up when you touch it with a soldering iron. Suitable for hand or machine sewing (as a bobbin thread). We’ve had no trouble using it for close, tight connections, but if you’re worried, waxing the thread should keep it manageable! How many ply is this? 2 ply?